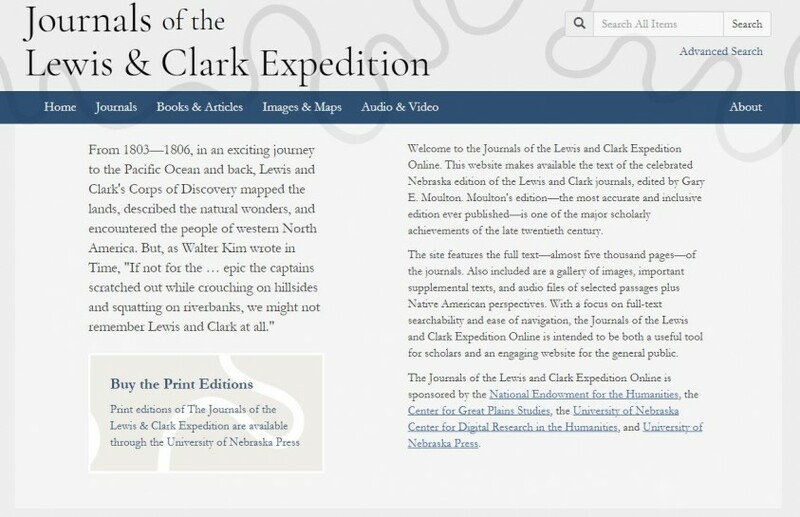 The Journals of the Lewis & Clark Expedition, funded by the National Endowment for the Humanities, is a major project of the Center for Digital Research in the Humanities at the University of Nebraska. Image courtesy of the center. Since 2003, the NEH has allocated significant funding to a wide range of digital humanities projects at the University of Nebraska, Lincoln (UNL). Much of this funding has supported projects that make nationally-significant cultural resources freely available to the public. These include The Walt Whitman Archive, The Journals of the Lewis and Clark Expedition, the Willa Cather Archive, and Nebraska Newspapers, which is part of the National Digital Newspaper Program. In addition to project-specific support, digital humanities projects at UNL have received two major challenge grants from the NEH, which have helped to raise an additional $2.7 million. The Willa Cather Archive, funded by the NEH, makes her novels, letters, and other writings available online. Image courtesy of the Center for Digital Research in the Humanities at the University of Nebraska, Lincoln. One of these grants supported an endowment for The Walt Whitman Archive and now provides the project with a strong foundation from which to operate. The endowment helps support two staff positions with the project, that of the senior associate editor and associate editor, as well as research and development. This funding has significantly advanced the pace at which the project adds materials and scholarly annotations to the site. 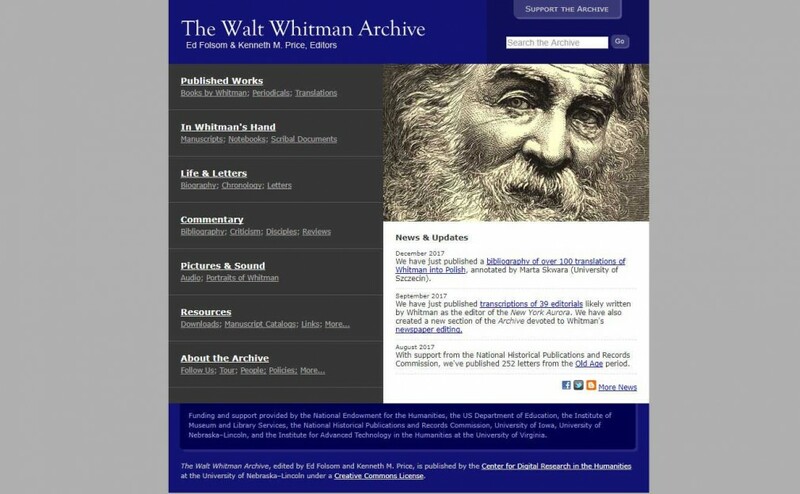 The Walt Whitman Archive, funded by the NEH, is a resource for scholars and literature enthusiasts alike. Image courtesy of the Center for Digital Research in the Humanities at the University of Nebraska. Another challenge grant helped create and endow the Center for Digital Research in the Humanities’ (CDRH) program for mentoring the next generation of humanities scholars. Each year, CDRH hires 2-3 graduate research assistants and interns, helping students develop a new set of skills while supporting their studies. And in 2017, CDRH was able to offer its first postdoctoral fellowship, which was also supported by the Endowment. These junior scholars are able to learn from the center’s many prestigious digital humanities scholars. At the same time, they bring new ideas and energy to the center. With challenge grant funds, CDRH hosts the annual Nebraska Forum on Digital Humanities. This theme-based event is presented in conjunction with the UNL Digital Humanities Student Association’s boot camp, which teaches web design, project management, and communications to graduate students from UNL and other universities.